I joined CYAC officially in summer 2016 and I have been enjoying every moment. The art forms I love are: drama, music and media studies. I joined CYAC after I took part in a youth consultation in 2015. A reason I joined was because I wanted to make more art opportunities available for the youths in Croydon. I am gradually watching Croydon develop positively and raise the profile of the arts; and ensuring young peoples' voices are at the heart of our decision making. I joined CYAC back from the beginning and I've been with this wonderful crew for over 2 years. I'm still with them because I have a passion for my art form which is music. I joined CYAC to make new friends. The art forms I'm into are singing, dancing, acting and playing my guitar in my spare time. I enjoy CYAC because I like the atmosphere that is created and the opportunities that are given through CYAC. My favourite art form is singing and music. I'm a wacky 16 year old who enjoys drama and singing. I like to dabble in every art form, which is why CYAC appeals to me. It not only offers the chance to lead in my community, it offers new arts opportunities too. I joined CYAC to help raise the profile of the arts in Croydon, to enrich young peoples' lives and let young people show off their creative talents. Through CYAC I have come far and they have included me. I have improved my confidence. I'm particularly interested in drama and film and I love working with a range of people. I joined CYAC because I enjoy helping others. I enjoy music and drawing. It helps me become more confident with public speaking. 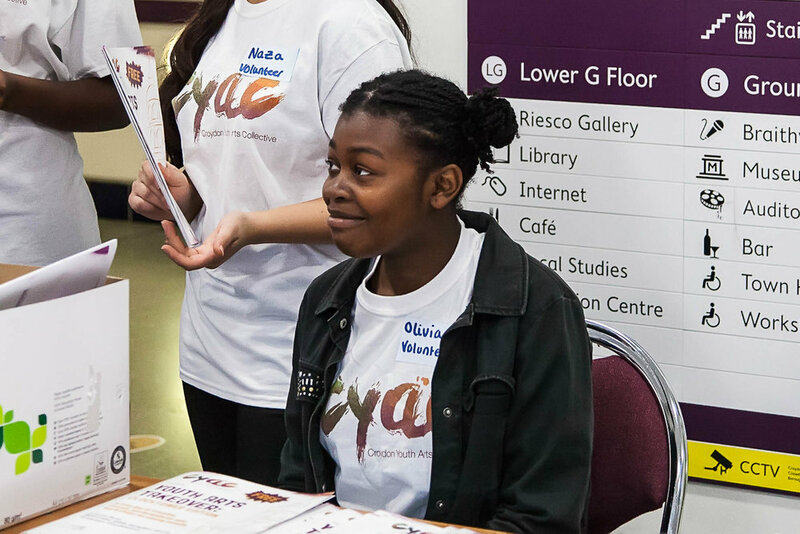 I joined CYAC as I wanted to be a young persons' voice for Croydon, to encourage people to be the best they can be and to give Croydon a better name. The art forms I'm into is film and drama as they're inclusive and they let you showcase your talents and interests. I am a self taught artist and have been learning the violin for the past two years. 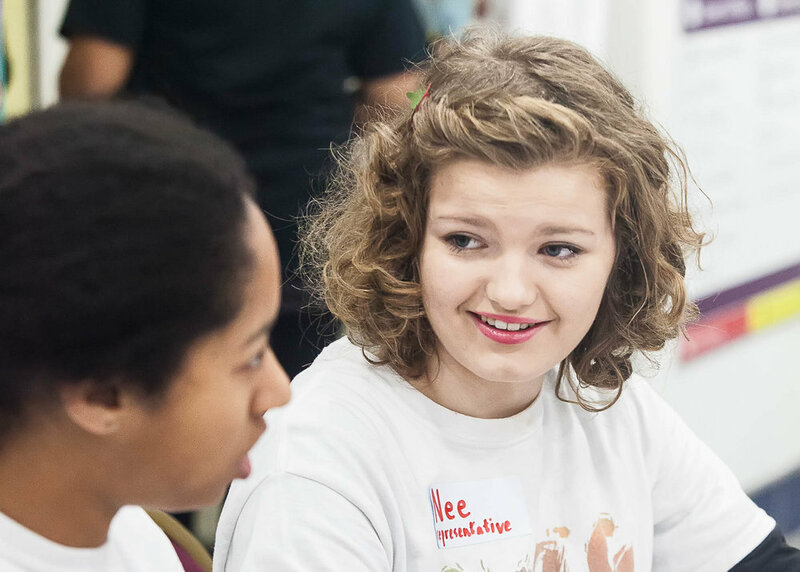 I joined CYAC because I wanted to meet new people and have the opportunity to help plan the Youth Arts Takeover. I enjoy CYAC because I like seeing all of our work come together and seeing young peoples' excited faces at the Youth Arts Takeover. The art forms I like are photography and music. We're supported by staff from Croydon Music and Arts and Croydon Council's Education and Youth Engagement team.